Most of the popular programming languages (like C, C++ and Java) are primarily created to follow the methodology of Imperative Programming, which implies that programmer generally write a code block (sequence of statements) which will change the state of the program(value of the variables) as each line is executed step by step. Till Java 7 only Imperative paradigm is being followed by Java. 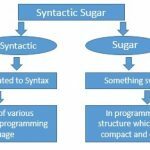 Similar to imperative style of programming there is one more paradigm called Functional Programming which follows the declarative approach to solve any problem. It is more focused on WHAT is need to be solved rather that HOW it can be solved. And as name expresses functions are the basic building blocks for in this paradigm and are no different from integers, doubles and other data types. 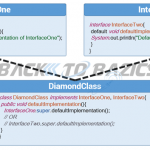 Programmer can pass function as a parameter and can return a function. Let’s take a problem in order to get a closer look to both of these paradigms for broader understanding. This paradigm is function oriented but doesn’t have any restriction on mutation of variable and using assignments, loops and imperative control structures. Programmer focus should be on WHAT rather than HOW. How to choose programming style among these two? Answer is pretty simple, the way of choosing the programming style is mostly dependent on what type of evolution in code is expected.